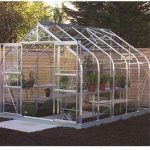 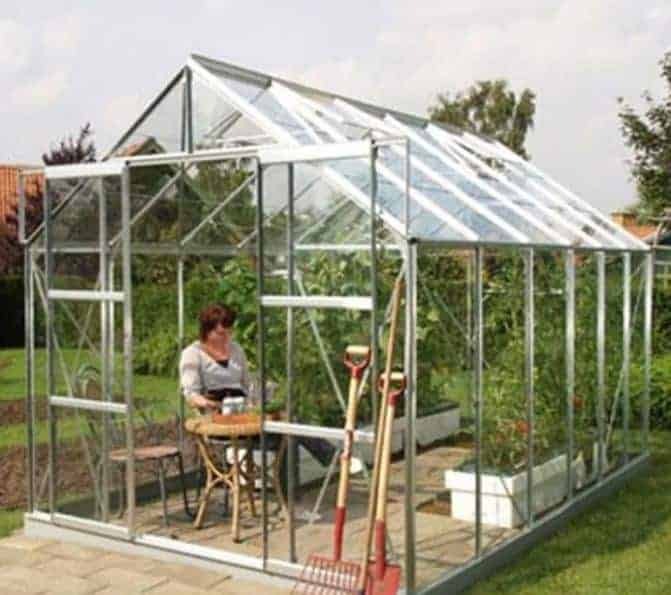 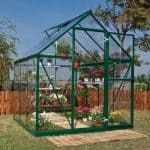 This generously sized silver framed greenhouse is perfect for anyone who has ambitious plans with their planting. 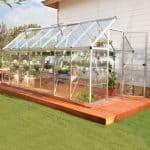 There are also a number of features that make it usable for a wide range of gardening activities. 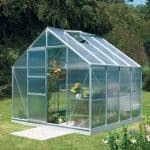 Double sliding doors allow you to bring in plants of almost any size, which makes it particularly useful. 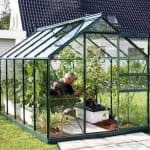 There are also integrated guttering aspects, which means that you can keep your plants safe and clean even in the wettest of weather. 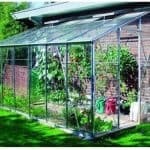 You have the option of two different types of glass, standard traditional glass or toughened safety glass.